Cigar Therapy is on the move! 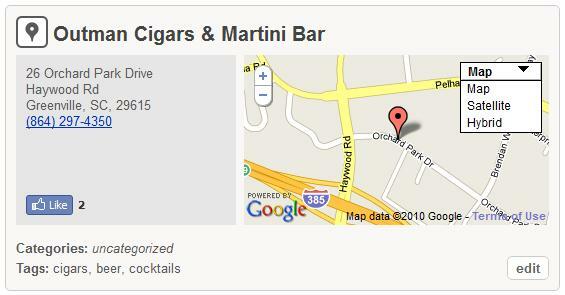 This Thursday Cigar Therapy will be at Outman Cigars and Martini Bar on Orchard Park Drive. Some of you have been to one of our emergency or bonus sessions of Cigar Therapy previously held at Outman Cigars, but this will be an official chance for our regulars to try out the newly opened location on Orchard Park. 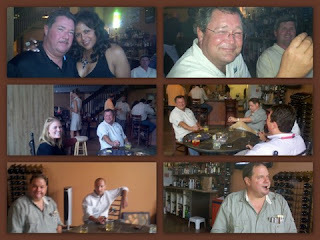 If you're new to the place you might want to check it out on Google Maps, Foursquare or Gowalla. If you've not yet been to Outmans you are in for a treat. They have a great selection of Rocky Patel cigars and a host of others to choose from. You can even get a look at the place by checking out their photos on Facebook.